Transloetje are indeed inspired by grandma's old floor lamp. Transloetje is truly remarkable, also because of the plastic material and the different colors. And here is not just the exterior: Since Transloetje is transparent, the retro lamp in the center attracts all attention. Transloetje is ultra-mobile and ideal for indoor and outdoor areas, as the model is wireless and rechargeable. You can choose from eight colours. To make your choice easier, you can also select all the colours to make a rainbow of transloetjes. 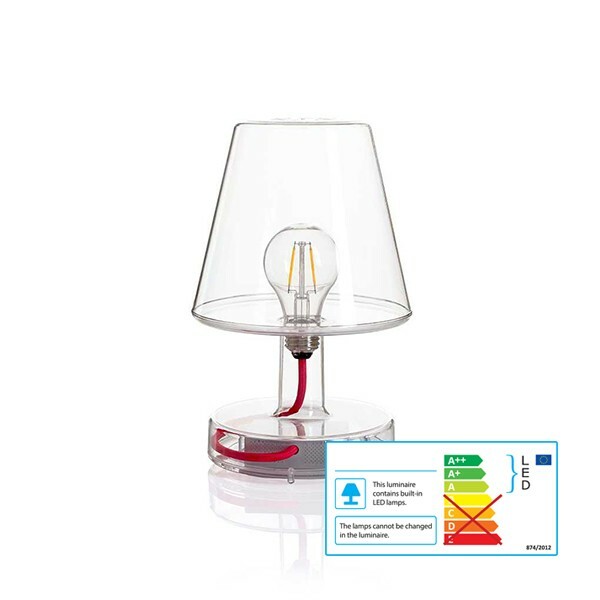 Energy class: This luminaire is suitable for bulbs of the energy classes: A ++ to A on a scale from A ++ (very efficient) to E (low efficiency). Related links to "Fatboy Transloetje LED"
Customer evaluation for "Fatboy Transloetje LED"